Is the Qantas dispute is, at its core, a replay of the classic business book ‘Who moved my cheese’ in which those who are willing to adapt to change do well and those who hope things remain the same struggle? 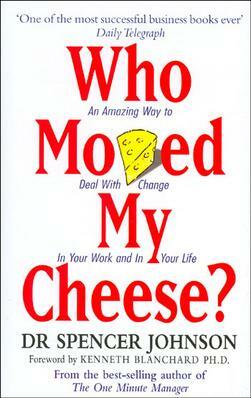 Have you read ‘Who moved my cheese?’ I read it about a decade ago when I worked for an organisation that decided it needed to change – and fast. It’s a very simple book about mice that have found a reliable source of cheese and live a tranquil life safe in the knowledge they’ll always have something to eat. Then one day, cheese stops appearing. Two of the mice go and look for new cheese and prosper when they find a rich new source of nourishment. Two others wait for the cheese to reappear in their old haunts and do badly because they refuse to realise they need to change and go hungry. I remembered the book over the weekend as the Qantas dispute played out, because it seems to me that the cheese has moved in the airline caper. New competitors have advantages Australian businesses struggle to match, especially in terms of the wages they are obliged to pay their staff. New aircraft require less maintenance than their predecessors which means extensions of current work practices may not make business sense. It seems to me that the cheese has moved and that waiting for it to magically reappear won’t work. Union representatives I have heard on the radio have suggested that Qantas would be fine if only it flew routes it has abandoned, such as Rome, Athens or San Francisco. I cannot imagine that management stopped flying to those destinations if they were profitable. So to me, the union representatives I heard sounded an awful lot like they just expected the cheese to reappear. That doesn’t excuse the massive inconvenience imposed on Qantas’ customers, which as we report here has left one small business saying he’ll switch his loyalty to Virgin. But it did get me thinking about how small business owners would react to similar circumstances: would they just assume cheese would come back, or go looking for new ways to win? Let me know your views in the Disqus field below. Chasing your tail in business?